CHITWAN. 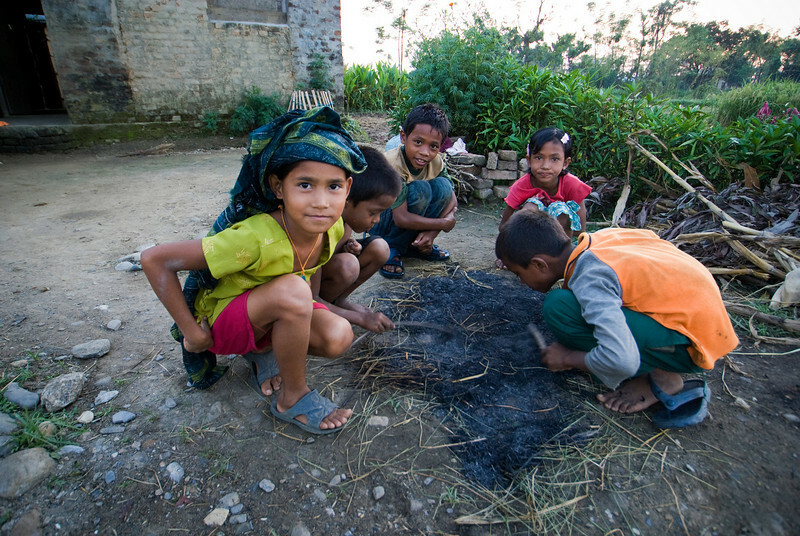 CHILDREN TRY TO MAKE A FIRE. NEPAL.